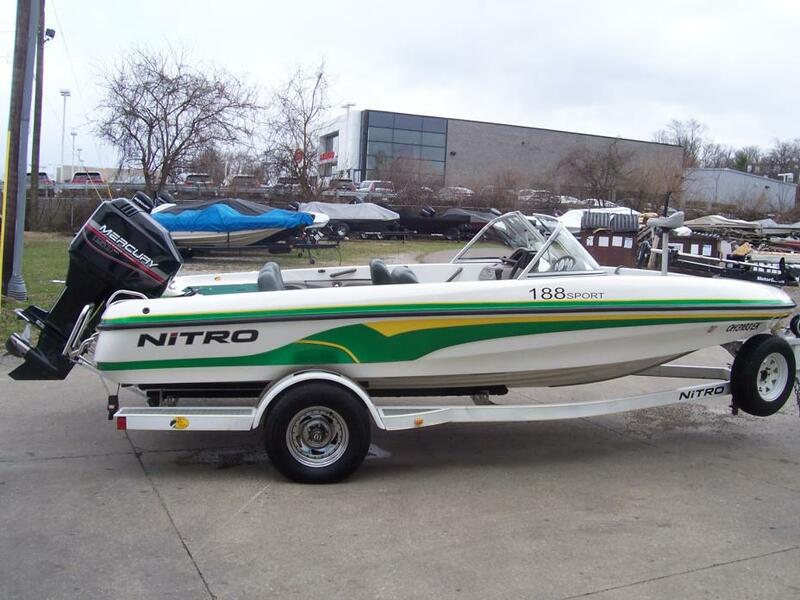 2004 Nitro 188 Sport The fishing and family fun never ends aboard the Nitro 188 Sport. 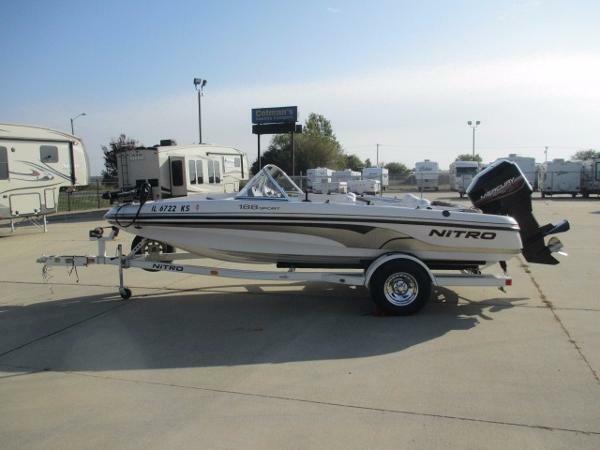 Like our largest model, it's the perfect combination of a serious fishing boat and a full-featured family boat - only in a more maneuverable and easier-to-tow package. 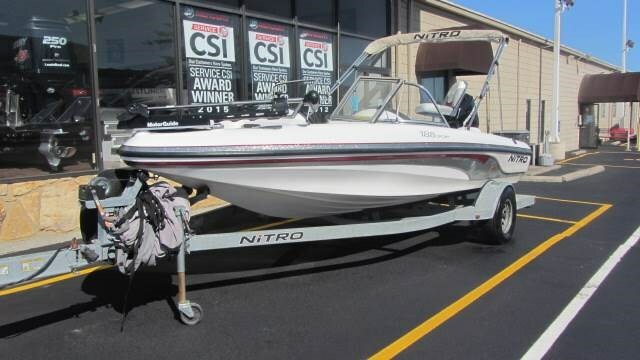 Standard features include a Bimini top, competition-style ski pylon, removable fishing seats, removable MotorGuide trolling motor, lockable rod storage, adjustable driver's seat and factory-matched Trailstar trailer - to name just a few. 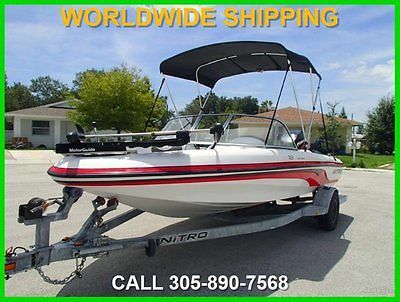 2003 TRACKER NITRO 188 SPORT! SUPER CLEAN!